If you want to get your hair straightened the right way (read: not walis-straight or damaged), be sure you have it done at a salon with a good history and track record of great hair service. 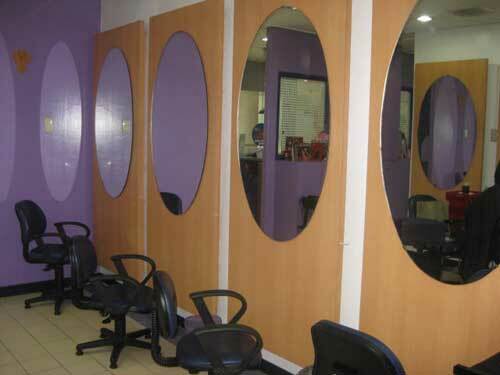 One of them is Freshaire, which has been in the hair industry for 20 years, and is even among the pioneers of hair straightening here; they originally started as a hair straightening center. Gone are the days when you want people to look at you and say, "Uy, nagpa-rebond!" Now, it's more flattering to hear, "Wow! Your hair's rebonded? But it looks naturally straight!" Ever the pioneer, Freshaire recently introduced the latest and most advanced in L’Oreal’s rebonding line, the X-tenso Moisturist. This new rebonding product gives silkier, straighter results while conditioning hair at the same time. X-Tenso Moisturist features the Nutri-Cationic technology, which provides superior conditioning to rebonded hair. 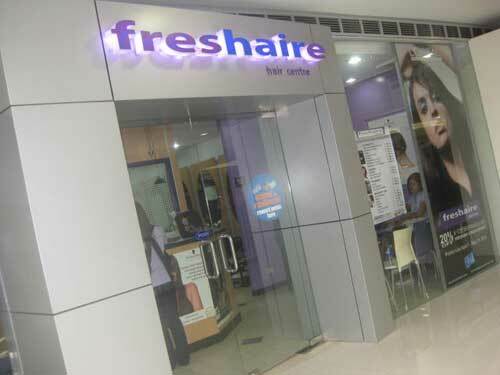 Freshaire’s rebonding services are upgraded and enhanced, as this exceptional product replaces the old X-Tenso line. FYI: Because of the treatment's natural ingredients, this innovative product has a sort of funny smell. But it's not too strong, and it wears off easily, even if you're only supposed to wash your hair after three days. Your hair contains chemical bonds, which are responsible for maintaining its structure and form. During the rebonding process, the X-Tenso Moisturist straightening cream is applied on your hair to break its existing bonds. 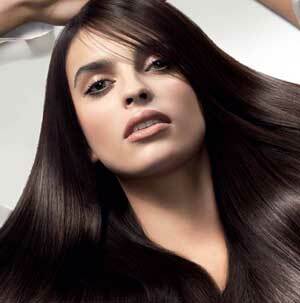 Then thermal irons are used to enhance the rebonding results and achieve the optimum degree of straightness. To keep this effect intact, the X-Tenso Moisturist neutralizer is applied. This neutralizer sets the broken bonds into their newer, straighter structure. And voila, your hair is visibly gorgeous. The effect is truly worth it. Not only is your hair straightened beautifully, it also looks and feels softer, smoother, shinier, and more manageable--without the exagge flatness we associate with hair straightening and rebonding. Instead of people saying "Uy, nagpa-rebond!" expect people to say, "Hey, your hair looks great!" Your hair's volume and body remain, but it looks really sleek and feels very light on your head. The process actually cares for your hair, as opposed to the usual straightening processes that can damage your locks. Be in with the Cosmo theme and celebrate your beauty! If you're going through a rough time, say a breakup, and if you're super stressed at work, you definitely deserve this beauty treat. And, the Cosmo Bachelor Bash is coming up, so if you think you've got a chance of scoring invites to the BIG event (watch for our promo! ), go and have this treatment done. Be sure you can spare around four hours of your time (especially if you have long, thick hair). While you're at it, maybe you can get a manicure and pedicure. Bring a laptop and some DVDs to watch. You'll get to watch around two to three episodes of Glee while you get it done. Just enjoy the pampering session, and the Freshaire attendants will take care of you, offering you iced tea and such. The price depends on the length and thickness of your hair strands. Price starts at P3,960 for those whose hair length is below the shoulders. Freshaire club members are also entitled to a discount.